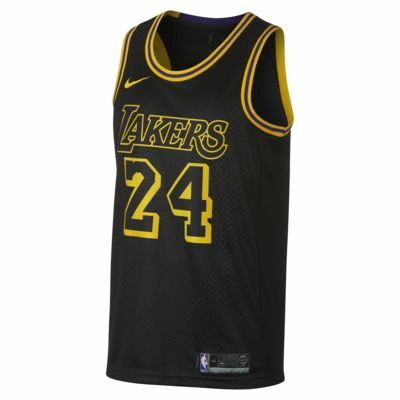 This edition of the Swingman Los Angeles Lakers NBA Connected Jersey honours the legendary Kobe Bryant and his Black Mamba persona. It features a subtle scale pattern, 16 stars to highlight the team's championships and Kobe's signature above the jock tag. The jersey is ultra-lightweight, designed to help Kobe as he once carried the weight of his city and team on his back. 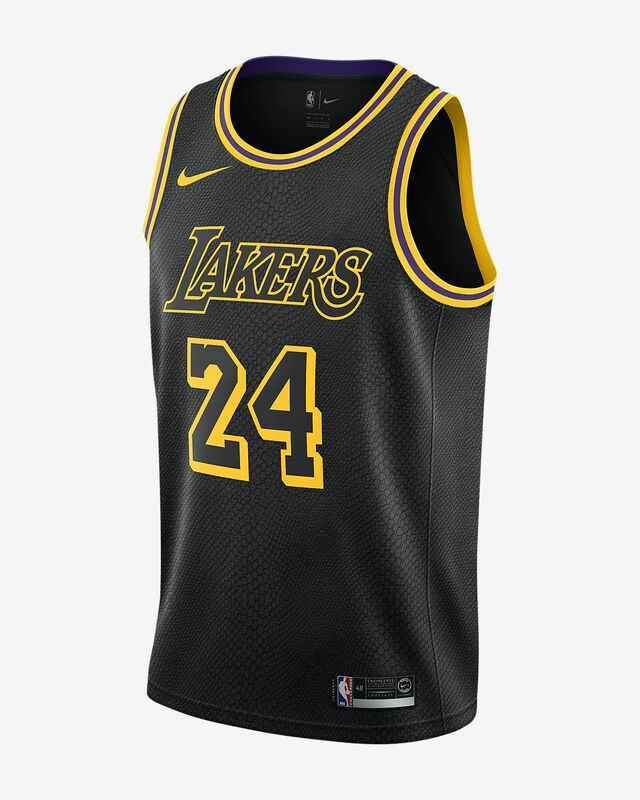 This edition of the Swingman Los Angeles Lakers NBA Connected Jersey honours the legendary Kobe Bryant and his Black Mamba persona. It features a subtle scale pattern, 16 stars to highlight the team&apos;s championships and Kobe&apos;s signature above the jock tag. The jersey is ultra-lightweight, designed to help Kobe as he once carried the weight of his city and team on his back. Have your say. Be the first to review the Kobe Bryant City Edition Swingman Jersey (Los Angeles Lakers).